Another of our Mañanarama exhibits, this time a vintage magazine. 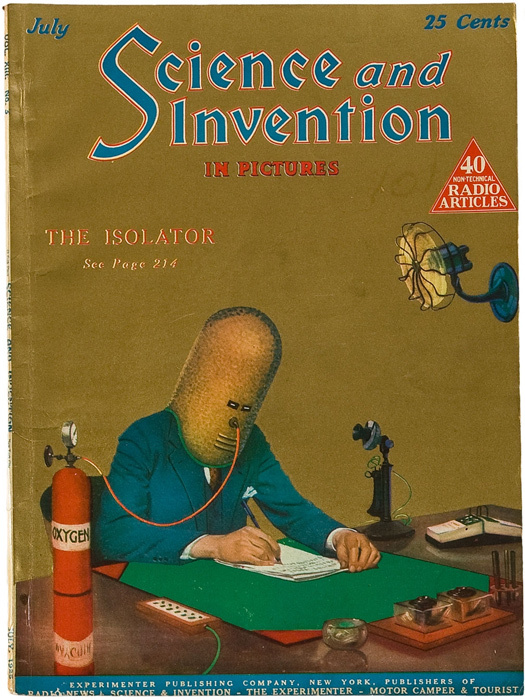 The Luxembourg-born Hugo Gernsback invented more than just Twitter’s favourite Isolator helmet in his quest to beat time-wasting. He aimed for nothing less than an end to sleep itself. If any disease robbed us of a third of our lifetimes, medical research would go wild. 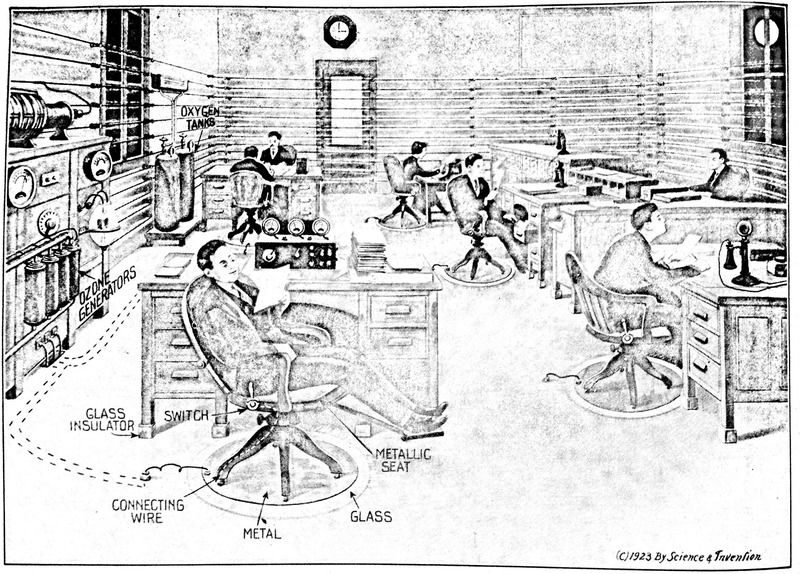 To conquer sleep would be ‘a wonderful boon to the race’ and to productivity, Gernsback argued. Slumber was merely a ‘habit… mainly due to astronomical reasons’, and would one day become unnecessary—after all, protozoa and many fish do not sleep (p. 1062). 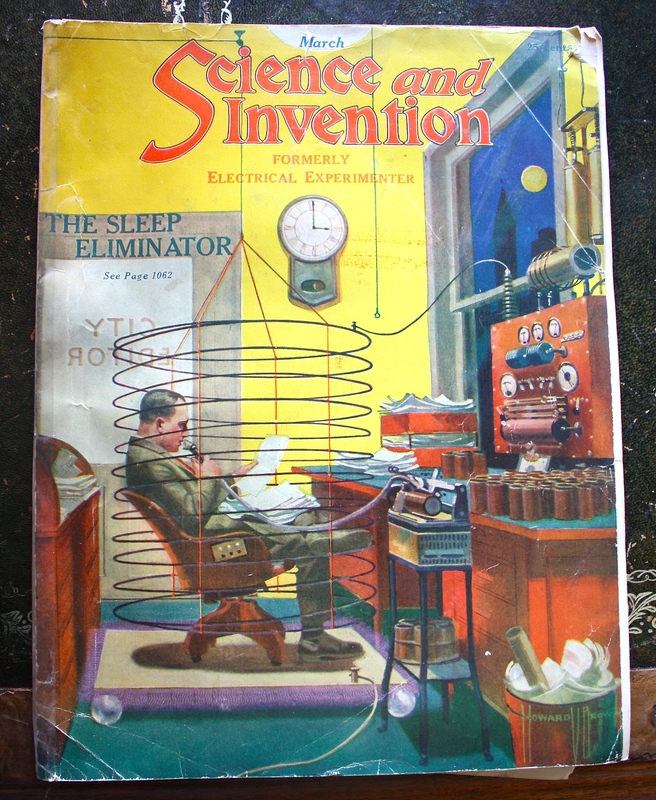 His Sleep Eliminator, starring in the March 1923 edition of Science and Invention, used electric currents, oxygen tanks and ozone generators. Together these promised ‘to eliminate sleep for any length of time’ (p. 1114). ‘With methods such as these,’ he concluded cheerfully, ‘there is no probability that the subjects will experience any ill effects, and will not be worse off for having worked a week, or even a month, day in and day out’ (p. 1137). The same magazine issue also included a short story by H.G. Wells (‘The Star’), alongside suggestions for electrical moth-proofing, futuristic submarines, amateur magicians, and very twenty-first-century adverts for strongfortism and ‘The Creative Power of Mind in Action: You Can Create the Things You Desire’. Today anti-sleep research is largely the province of military scientists. ‘Cures’ include drugs, supplements, masks—and ‘transcranial direct-current stimulation’ via a Gernsbackesque electrical headband. 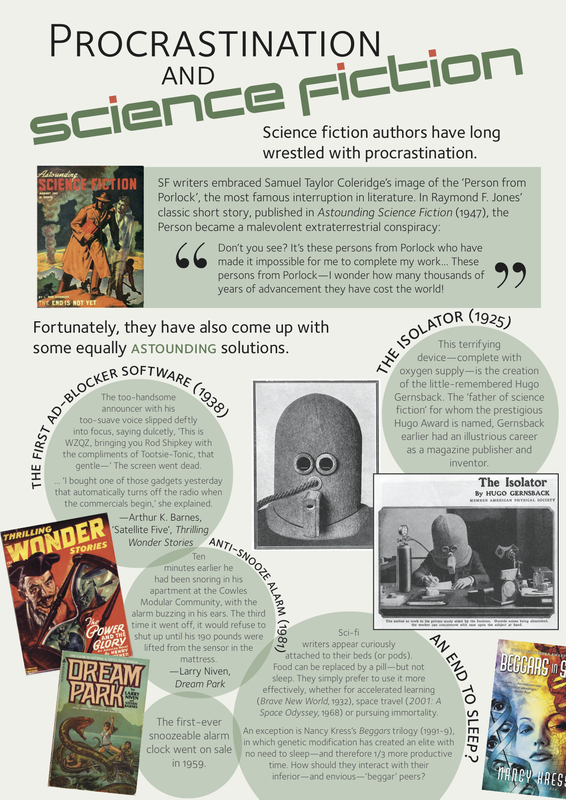 If you’d like to meander further, here’s another of our Mañanarama exhibits—on procrastination and science fiction (PDF here; print with impunity).